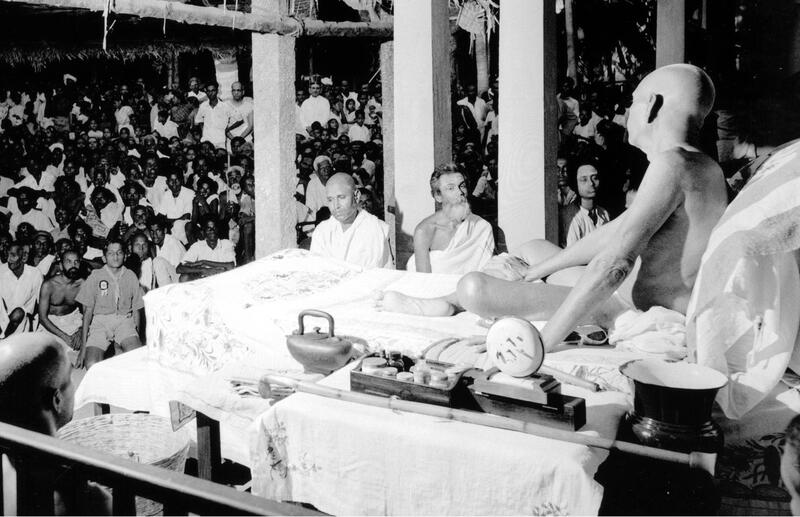 Sri Bhagavan with Sri Murugannar and Sri Sadhu Om. 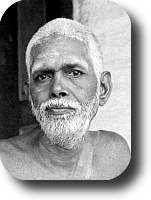 Arunachalaramana Book Trust is a non-profit trust dedicated to preserving and sharing the works of Sri Sadhu Om, one of the foremost disciples of Bhagavan Sri Ramana Maharshi. His works include devotional hymns in praise of Sri Bhagavan, prose and verses explaining his teachings. He was a divine poet, whose knowledge of classical Tamil and his own experience make his explanations of Sri Bhagavan's teachings genuine and authoritative. Reading his works provide deep insights and kindle a one-pointed devotion to the Guru. All his explanations are rooted primarily in the teachings of Sri Ramana. Some of the works have also been translated from Tamil to English and other languages.Sri Swamigal had a melodious voice - many of the songs sung by him have been recorded and a limited selection is available online. The second Edition of the Tamil book Sri Ramana Charita Surukkam by Sri Sadhu Om is now available. This small book with a concise history of Sri Bhagavan's life and an excellent summary of his teachings was first published in 1983. The second Edition of Guru Vachaka Kovai (English translation and commentary) by Sri Sadhu Om and Michael James has been published. The fifth Edition of the Tamil book Sri Ramana Vazhi by Sri Sadhu Om has been released. This revised edition contains some changes planned by Sri Sadhu Om that are mainly re-arrangements of some sections of the book and inclusion of appendices from Sadhanai Saram. . The PDF book catlogues for English and Tamil books can be downloaded separately. The main outlets for purchasing books and translations by Sri Sadhu Om are Sri Arunachalaramana Nilayam, and Sri Ramanasramam in Tiruvannamalai; some of the Ramana Kendras, Sri Ramana Mandiram in Madurai also stock some of his books. A few bookshops stock a limited selection of books. You can write to the trust or send email for book related queries.